We aim at simplified high dynamic range (HDR) image generation with non-modified, conventional camera sensors. One typical HDR approach is exposure bracketing, e. g. with varying shutter speeds. It requires to capture the same scene multiple times at different exposure times. These pictures are then merged into a single HDR picture which typically is converted back to an 8-bit image by using tone-mapping. Existing works on HDR imaging focus on image merging and tone mapping whereas we aim at simplified image acquisition. 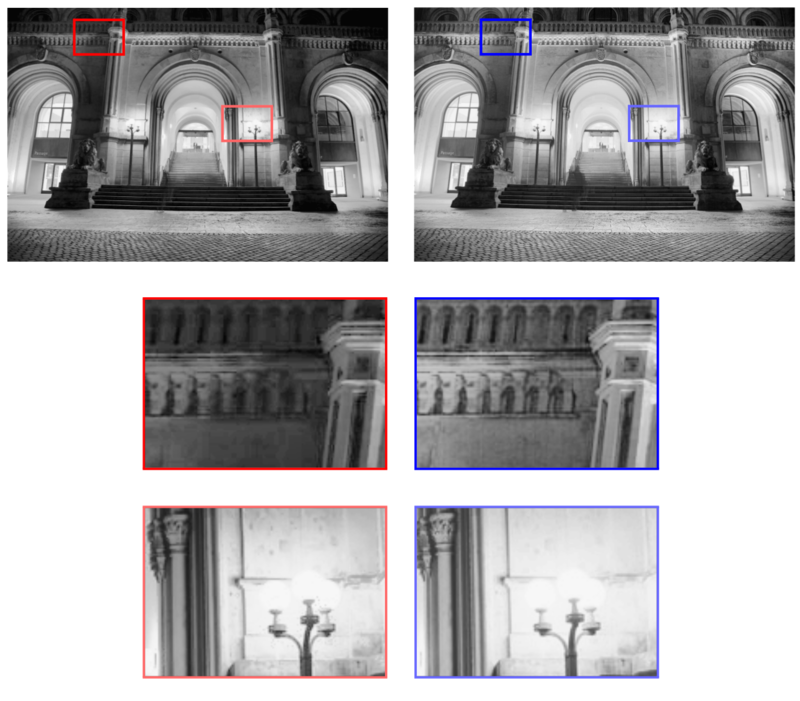 The proposed algorithm can be used in consumer-level cameras without hardware modifications at sensor level. Based on intermediate samplings of each sensor element during the total (pre-defined) exposure time, we extrapolate the luminance of sensor elements which are saturated after the total exposure time. Compared to existing HDR approaches which typically require three different images with carefully determined exposure times, we only take one image at the longest exposure time. The shortened total time between start and end of image acquisition can reduce ghosting artifacts.